Dr. Robert J. Mirabile and Dr. Vivian Hsu. 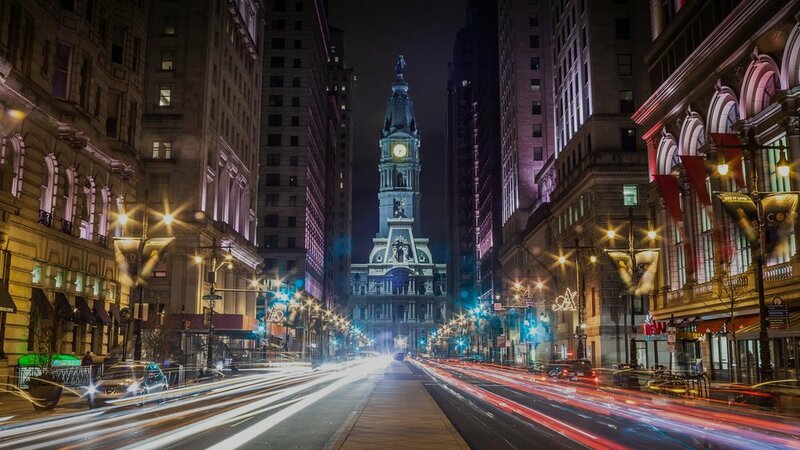 Serving Philadelphia, Blue Bell, Montgomery County, Chester County, Delaware County and other surrounding areas, Board-Certified Plastic Surgeons Dr. Robert J. Mirabile AND Dr. Vivian Hsu specialize in procedures such as Breast Augmentation, Tummy Tuck, Liposuction, Facelift, and more. At Best Impression Medical Spa and Laser Center, our goal is to provide extraordinary, personalized cosmetic care to discerning patients in Montgomery County, PA. With a full spectrum of non-surgical, minimally invasive injectables and customized treatments, you can expect the highest level of comprehensive care from our doctors and staff in a comfortable, upscale environment. Find out about our organization, our methods, our doctors, and the results of our decades of pratice. Ready to take the next step? See why you don't need to wait any longer to become your best version. We are proud that our primary source of clients in need of services such as NeoGraft®, CoolSculpting®, Botox® and more are referrals from satisfied physicians and patients, who continue to recommend our practice. If you are looking for the best in cosmetic injections, laser procedures, PRP or spa treatments and services in Montgomery, PA, we would love to add you to our list of valued patients. No matter what brings you to our office, you’ll be greeted by friendly and knowledgeable staff ready to answer your questions regarding innovative treatments like CoolSculpting® and Platelet Rich Plasma Injections or assist with scheduling and financing. From the very first consultation to your final follow up appointment, we’re with you every step of the way as you achieve your cosmetic goals. Dr. Vivian Hsu and Dr. Robert Mirabile are board-certified plastic surgeons bringing over 40 years of experience to an extensive selection of personalized care in Montgomery County, PA. As published authors of academic journals and public speakers on the national level, both Hsu and Mirabile have unparalleled knowledge on all levels of cosmetic care from simple Botox injections and Dermal Fillers, to complex surgical procedures. Under their care, you will receive the most advanced cosmetic techniques and highest level of surgical expertise in the area. A decision to improve your appearance can be one of the most meaningful and worthwhile investments in your life. Through careful research, we’ve selected the best, most innovative products and services to help you quickly and safely achieve the beautiful results and renewed confidence you deserve. We invite you to explore our most popular services. Every face has a story, but if wrinkles or fine lines have you reluctant to share yours with the world, our doctors are dedicated to finding the right solution to restore your confidence with beautiful, natural looking results. Botox® is one of many corrective and preventative injectables performed by our doctors at Best Impression to eliminate frown and smile lines that develop with age. If you are looking to minimize mild or severe wrinkles around the eyes and mouth, our renowned surgeons offer the most effective facial treatments in Montgomery County, PA and beyond. Botox® temporarily blocks nerve impulses in the muscles that cause deep lines on the face. You will see smoother skin in 1-2 weeks and enjoy a more youthful appearance for up to 4 months. Dermal Fillers are the most common non-surgical solutions to improve and correct facial contour and volume. Lip Fillers and Cheek Fillers use injectables containing hydrating and stimulating substances that soften, lift and plump wrinkles, fine lines and specific facial features for fuller, smoother looking skin. With a free consultation from our staff, you can learn about all of our various lip fillers and cheek fillers, such as Juvederm, Restylane and Radiesse, and find out how these injections can help with your specific target areas. 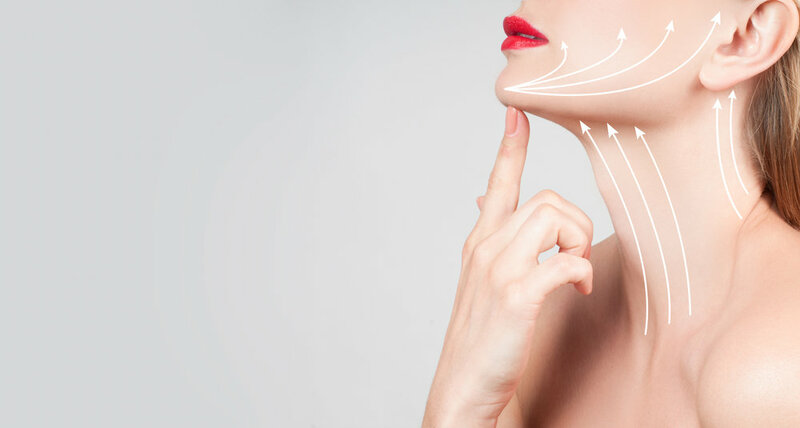 To improve the appearance of submental fullness, or extra fat commonly known as “the double chin,” Kybella® is an injectable that breaks down fat cells to contour the targeted area. These injections destroy the cells for good, providing a lasting desired shape and outline of the neck and other areas. Our doctors are the best in Montgomery County, PA for tailoring your treatment to your aesthetic goals. Ultherapy® offers another exciting solution to target specific problem areas of the eyes and brows, lower face and neck by utilizing ultrasound technology and the body’s natural healing processes to achieve a more desired physical contour. Our Ultherapy® procedure tightens and tones the deepest tissues of loose, sagging skin and provides lasting results in just one visit. NeoGraft® is a pioneering, patented technique for hair restoration, producing extremely natural-looking results for both men and women in just a few easy steps. The NeoGraft® system delicately harvests and places hair follicles to achieve a thicker, fuller head of hair and pleasing hairline. NeoGraft® has minimal recovery time with no linear scarring due to its highly-effective process. Patients who choose our NeoGraft® procedure can take comfort in knowing their surgeons are one of the first to perform NeoGraft® in Montgomery County, PA. Talk to our staff about scheduling your consultation, so you can get the best hair restoration services in the area. While traditional weight loss and exercises can help achieve a healthier lifestyle and shape, for some it isn’t enough to feel completely comfortable in their own skin. From offering the latest body contouring procedures like CoolSculpting®, or advanced healing techniques using PRP injections, to being one of the only Medical Spas in Montgomery County, PA to offer Cellfina™ for cellulite removal, our doctors and surgeons can help achieve the ideal figure you’ve been working toward. CoolSculpting® by Zeltiq® is a revolutionary technology that offers the most innovative, non-invasive solution to stubborn fat bulges. If diet and exercise cannot tackle your problem areas on their own, our CoolSculpting® procedure offers the next most natural way to lose fat without needles, surgery or downtime. Through the use of extremely cold temperatures, our doctors freeze the unwanted fat cells, inducing a natural-looking reduction of the fat bulge. With CoolSculpting® by Zeltiq®, you’ll see a noticeable difference in as little as 3 weeks. For a long lasting, visible solution to cellulite, Best Impression is one of the only Med Spas in Montgomery County, PA offering innovative Cellfina™ treatment. Designed to target the underlying structural cause of cellulite, you can say goodbye to uneven, dimpled skin for up to 3 years in as little as one visit. Our doctors offer an extensive range of procedures using state-of-the-art laser technology to improve the appearance of veins, red spots, wrinkles and stretch marks anywhere on the body, or remove unwanted facial or body hair. Our innovative laser techniques are performed by our doctors in a variety of procedures to help you achieve smooth, blemish-free skin without the use of injections or needles. Our Fraxel® Laser Treatment by Solta is a groundbreaking procedure that penetrates the skin for a deeper rejuvenation of color, texture and tone, while our Intense pulsed light (IPL) energy treatments break up pigments disposition for a smoother, more even complexion. We use only the most advanced laser technology to provide quick, beautiful solutions to unsightly hair, vascular lesions, stretch marks and more. Contact us to book your consultation at our office in Montgomery County, PA and find the right solution for you. We invite you to explore all of our Med Spa Services for beauty and skin care. Join us for a quick and refreshing cleanse with our therapeutic Facial or Hydrafacial, let us brighten your complexion and improve scars with our Microdermabrasion or Chemical Peels, or get you ready for your next event with our waxing and salon services. Our spa services use state-of-the-art technology, such as computer controlled air pumps to desensitize skin during Electrolysis and Microblading hand tools with ultra-fine needles to correct and reconstruct thinning eyebrows. Everything you need to be the best version of yourself is right here at Best Impression Medical Spa and Laser Center, so browse all of our services to learn more. Platelet Rich Plasma (PRP) Injections use the reconstructive powers of the body’s own cells to assist in rebuilding. Containing 8 growth-inducing proteins, platelet rich plasma is crucial to healing wounds and forming blood clots as part of the body’s natural healing process. Since the human body contains an unlimited supply of PRP, patients have access to endless growth factors through our platelet rich plasma injectables. We offer PRP injections to boost the glow and plump of facial rejuvenation procedures like Botox® and Dermal Fillers, while our NeoGraft® patients can also benefit from Platelet Rich Plasma injections to stimulate the hair follicles and help grafts heal faster. To prepare the injections, our PRP doctors will draw a small amount of blood and isolate the platelet rich plasma through a centrifuge. Once they have been extracted, the PRP solution is injected right into the damaged tissue to improve texture, tone and regrowth. Our Platelet Rich Plasma doctors are the most experienced in Montgomery County, PA, helping patients achieve beautiful glow and desired volume with minimal side effects. Contact us to schedule a consultation or join our mailing list so you don’t miss any of our special offers or events in Montgomery County, PA. From Botox®, Dermal Fillers, CoolSculpting® and more, surgeons Dr. Vivian Hsu and Dr. Robert Mirabile, along with the rest of our staff are dedicated to delivering beautiful, personalized results as unique as you are.